Perinatal Hospice Care is not something that is delivered by one person or even one specialty. It involves many healthcare professionals, combining a diverse array of skills. The Obstetrician is usually the person who first learns of the baby’s diagnosis, and who tells the family for the first time. Naturally, this will be a sensitive time of heightened emotion, and so having an Obstetrician trained in how to communicate this information accurately, but sensitively, is critical. Families need to know that their Obstetrician will continue to care for them in the same way as if they were expecting a healthy child, while also paying special attention to their unique situation. The midwives and nursing staff are a vital component of peri-natal hospice care. Usually, these are the staff members with whom the families have most contact with and who are the first port of call should any questions or issues arise. In every pregnancy a strong bond and friendship usually develops between a mother and her midwife. In these special cases, there a baby is sick and time may be limited, the bond between patient and midwife becomes especially strong. As soon as the baby is born, the Neonatologist will take over his or care. With these special cases, usually the Neonatologist is present when the baby is born so that care can be given immediately. 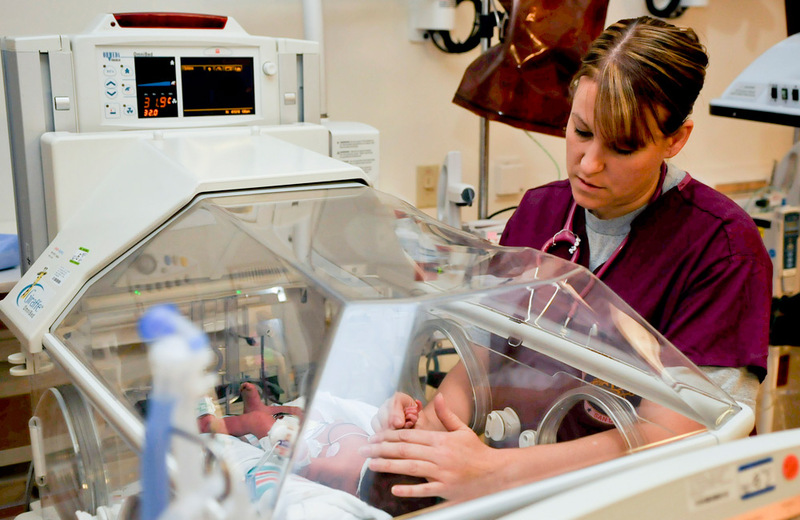 Sometimes the baby will need to be transferred to Neonatal ICU for extra care, sometimes the baby and his or her family will remain in the delivery suite if life is expected to be very short. Either way, the Neonatologist is present to make sure the baby is comfortable, warm, pain free, and that the family can enjoy whatever time they may have with their child. Depending on how long the baby lives for, the Neonatologist will provide ongoing care for the baby in terms of comfort, breathing, feeding and any other medical input he or she needs. Perinatal psychology is a unique subspecialty and a good Peri-natal Hospice service will offer the support of a psychologist to families who are told their child may not live for long after birth. For most parents, simple words of support and an understanding ear may be all that’s required. For others, counseling sessions where they can discuss and work through the rollercoaster of emotions they may be feeling can be hugely beneficial in helping a family cope. Peri-natal Hospice Care recognizes that the mental health of the family needs to be cared for just as much as the physical care a woman needs during her pregnancy. When the time a family has with their child is expected to be short, memory making becomes an activity, which holds a special value and importance. From saving mementos of the pregnancy such as heart tracings, ultrasound scans and pregnancy photographs to after birth footprints, handprints, hair clippings, 3D moulds and baby items, parents will admit that it is these little memories that helped them through their most difficult of times. A Child Life Specialist is a term given to those staff members who help a family create beautiful and long-lasting memories of their child. When a patient is diagnosed with having a terminal illness, Palliative Care is called upon to make sure that he or she has as good a quality of life as possible. With newborn babies it is no different, and the emerging specialty of neonatal palliative care provides for this. Palliative care focuses on the relief of any symptoms that may accompany a terminal illness such as pain, discomfort and distress as well as treating any anxiety and worry of the parents. Sometimes, babies with a terminal illness live long enough to be brought home by their parents so that they can enjoy life at home as a family for however long that may be. Palliative Care extends into the home to ensure the parents are empowered and equipped with everything the baby may need for all of them to have a comfortable and happy time at home. It is a normal thing for a baby to want to feed after he or she is born and babies born with certain life limiting illnesses are no different. Feeding a baby who is sick and may have some malformations can be a daunting and scary thing for any parent. Most are afraid of doing the wrong thing or causing the baby any discomfort. Feeding Specialists are specially trained nutritional experts, who assist mothers (and fathers) in feeding their baby whether it is through breast-feeding, bottle-feeding, tube feeding or another type of unique appliance that they develop to allow the feeding process to happen. Many parents who have welcomed a child with a life limiting condition into the world will agree that it is voluntary run support organizations who they first made contact with after receiving a diagnosis for their baby. Sometimes when such a diagnosis is given, parents want to talk to other parents who have been in a similar situation. Thankfully there are many, many support organizations that offer help and practical guidance to parents who are preparing to welcome a child who is expected to have a short life. These support groups compliment the Perinatal Hospice services and offer a type of care that only those who have lived this experience and made this journey can really offer. For parents with religious beliefs (and even for those without), having a chaplain supporting the peri-natal hospice to offer spiritual care to these families is a great source of comfort. From baptisms to bereavement services, chaplains and other religious figures that have had exposure to these difficult situations can provide a great source of comfort and consolation for the families.